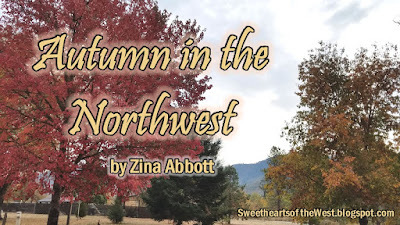 I barely rolled in my driveway 24 hours ago after spending the past weekend at the Women Writing the West conference in Walla Walla, Washington. With everything I need to catch up on, there was no time for a well-researched blog post. 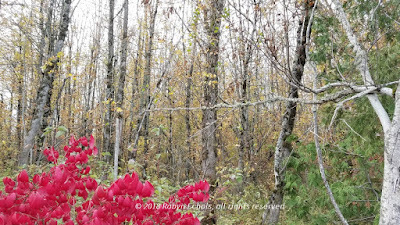 Instead, I am sharing some of my photos of the lovely autumn colors I saw as I drove to the conference and home. We stopped at a rest stop in Oregon's Rogue River Valley, and discovered there is a state campground on one end. 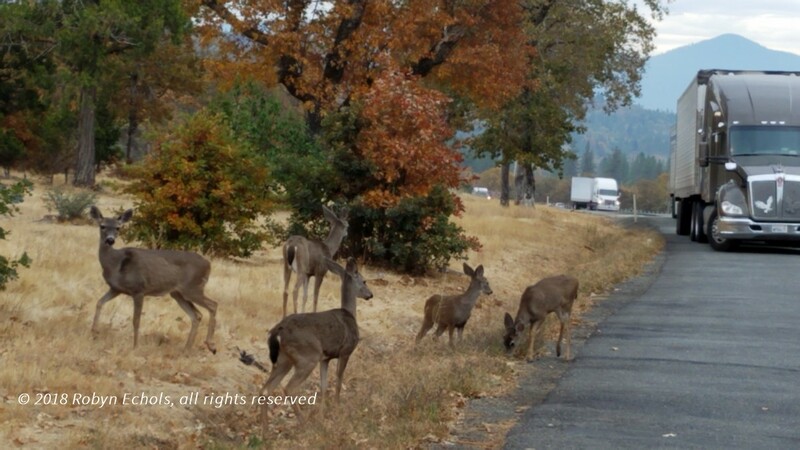 Pay a cheap rate to be in a beautiful campground, or search for a Walmart parking lot. Hmm...let me think about this. We opted for the campground. We stop often when we travel. The next morning, a little farther up the road, we had company sharing the rest stop, and I'm not talking about the truckers. We headed towards McMinnville, the home of the Spruce Goose, the WWII airplane made of about 95% wood. Along the way we enjoyed some beautiful country in the Willamette Valley. The next day we survived traveling through Portland, and were very grateful we were not there when the truck blew a radiator hose. We limped to a Target parking lot where we bought water and anti-freeze. While hubby reattached the hose and made our radiator cool and happy, I took pictures of the horse trail next door. 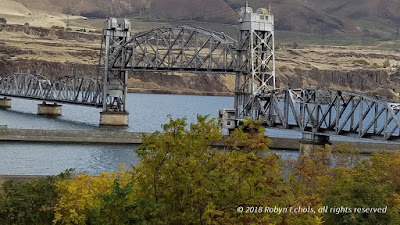 Those traveling along the Columbia River by wagon train may have seen the same kind of sight, but they would not have gotten off so easy with a vehicle breakdown as we did. 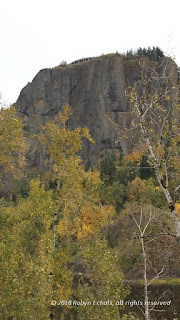 The banks of the Columbia River were stunning, but grew more desolate and treeless as we drove east. Much of the trip along the river to Walla Walla we drove in the dark, so we were unable to see it until the return trip. Usually this particular conference is earlier in October. 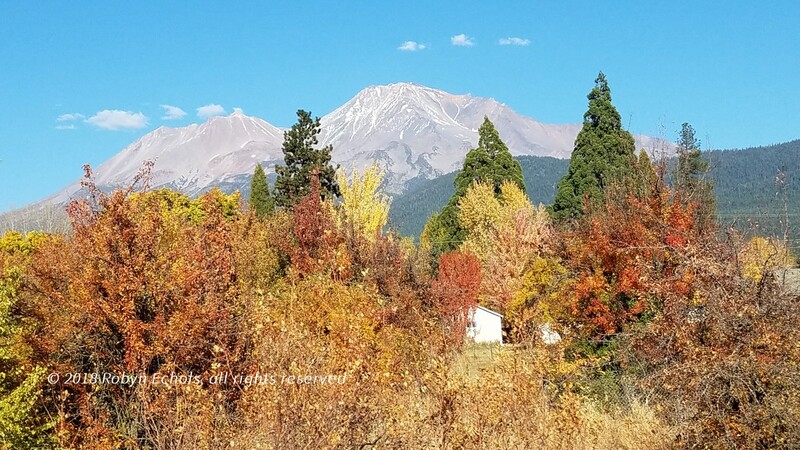 One advantage of it being held the last weekend of the month was we were able to enjoy the colors around the city. 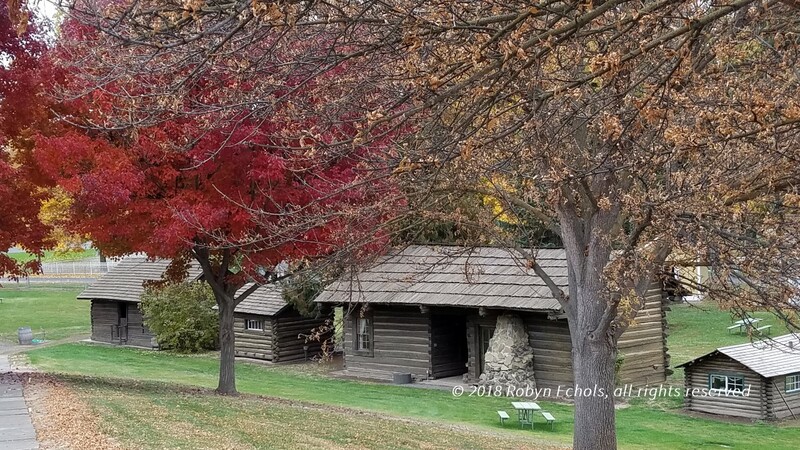 Here is a scene from the old Fort Walla Walla. Here is the railroad bridge near Celilo Village to the east. 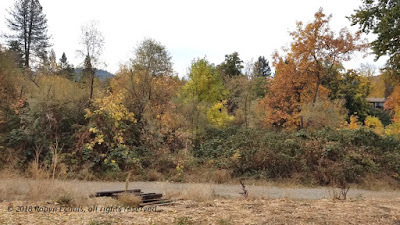 The terrain across the river shows it is mostly grassland, but there were still some pretty trees along the Oregon side of the Columbia River. 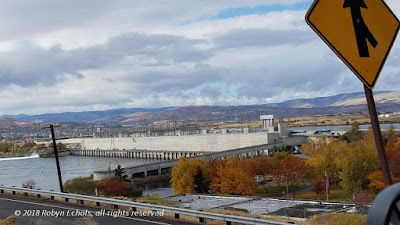 This view of the dam at The Dalles where we turned off also sported some pretty autumn colors. We avoided Portland by going home the back way through Bend and Klamath Falls. It was more high desert, but here at the turn-off we saw some pretty color. 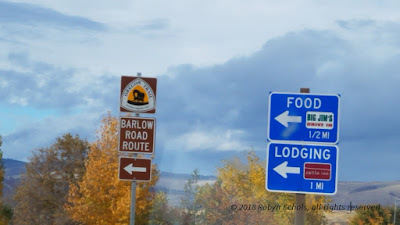 More striking, I bet those early pioneers who traveld the Barlow Road over 150 years ago would have welcomed the offerings on the blue signs. 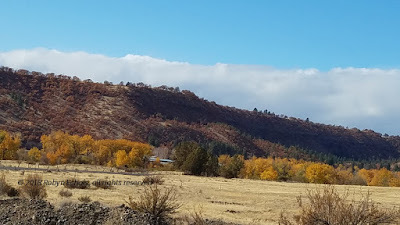 The eastern landscape in Oregon is a little dryer, but still displayed some lovely autumn colors. After Klamath Falls, we found ourselves in high mountains and evergreen trees. 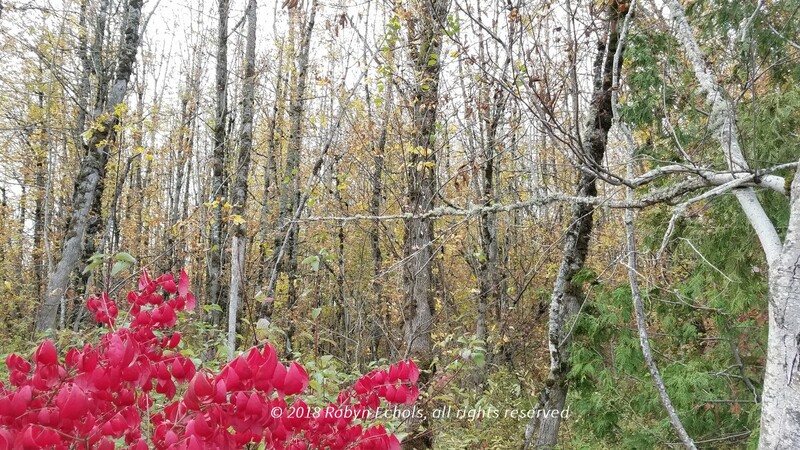 They provide year-round beauty, but the colors we enjoyed on this trip can only be found a few weeks each year. 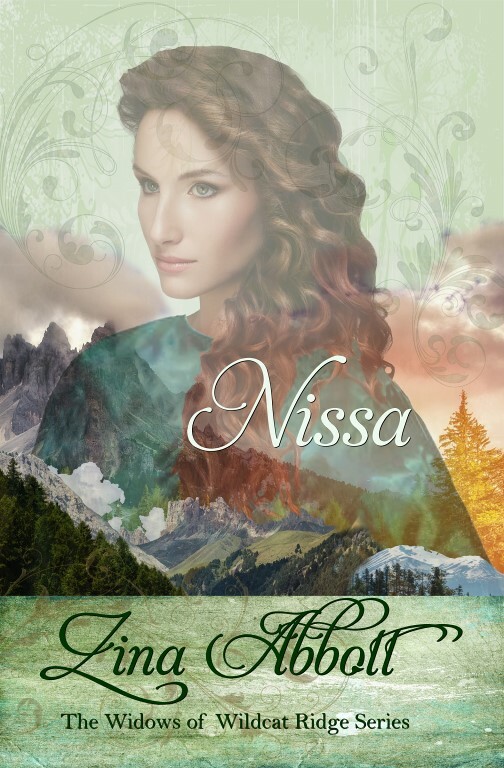 My novel in The Widows of Wildcat Ridge series titled Nissa is now available. To reach the book description and purchase link, please CLICK HERE. Thank you, Doris. I look forward to the next time you are able to attend a WWW conference. Very "colorful" country, to be sure! Thank you, Arletta. My photos do not do them justice. I sure loved the ride up and back for that reason alone. I'm sure envious of your trip and attending that writer's conference! 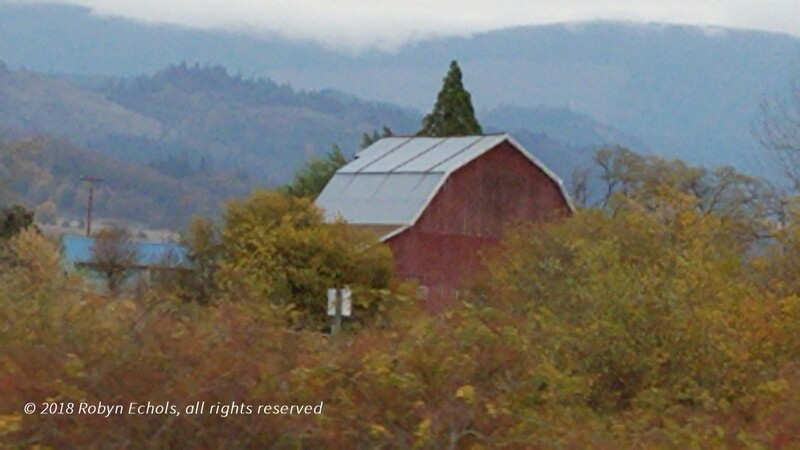 My favorite season of the year, especially travelling through scenic country like that. Hope we can get up that way sometime. Sorry about your car breakdown though. Thanks for sharing, Zina. Thank you, Cheri. 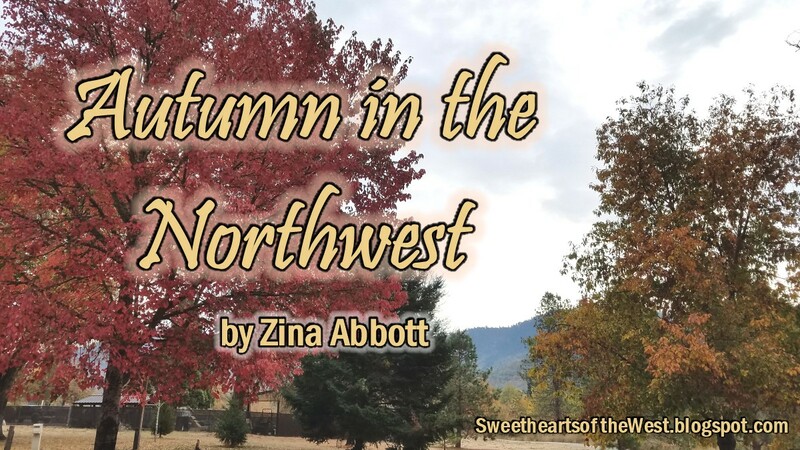 Women Writing the West is a great organization for women who write about characters set west of the Mississippi. October is a great time of year to hold a conference. Not too hot, not buried in snow. I have enjoyed attending the past several years. I'm looking forward to next year. It will be held in San Antonio. My husband is, too. He's wanted to see the Alamo for years.